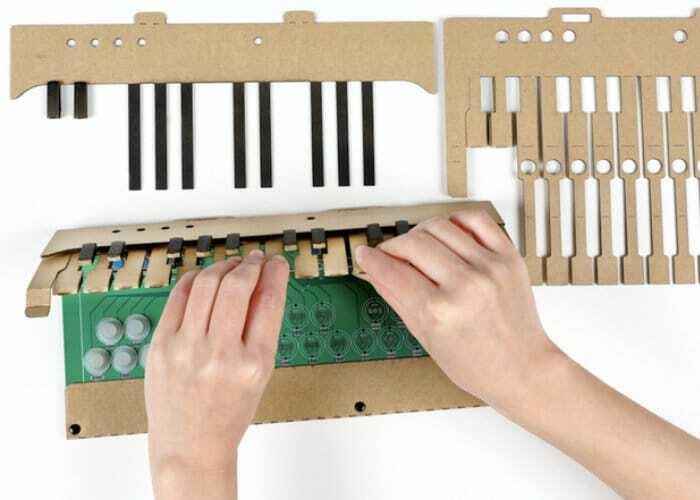 Reo Nagumo has created a new Kickstarter project this week which takes the form of a DIY cardboard musical keyboard kit. Offering a simple and fun way to learn more about music and build your very own instrument. The KAMI-OTO has this week been launched via Kickstarter to raise the £13,000 required to take the design into production. Watch the demonstration video below to learn more about the KAMI-OTO fun DIY musical keyboard kit. 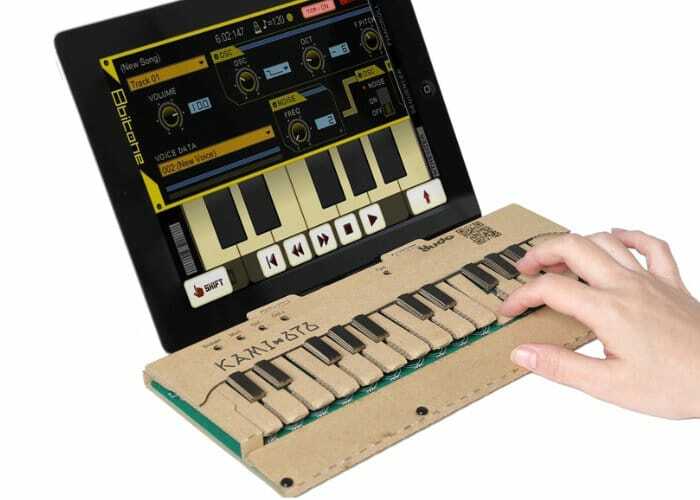 The kit KAMI-OTO provides everything you need to build your very own electronic keyboard . The folding and scoring of the die-cut cardboard design take inspiration from traditional Japanese “origami”, and the silicon rubber contacts provide the required connection to the embedded electronics board. Enabling the keyboard when finished to be connected directly to your computer, tablet or mobile phone using the included Bluetooth connectivity or micro-USB connection. The musical keyboard It is capable of detecting velocity (strength of play) and includes switches such as an octave shifting button for playing, modulator, dampers or others and can be used in real time. For more information, full specifications and a list of all available pledges which start from just £19 for the DIY electronic keyboard kit without Bluetooth connectivity. Jump over to the official Kickstarter crowdfunding campaign page by following the link below. If all goes well worldwide shipping of the kits is expected to take place during August 2018.